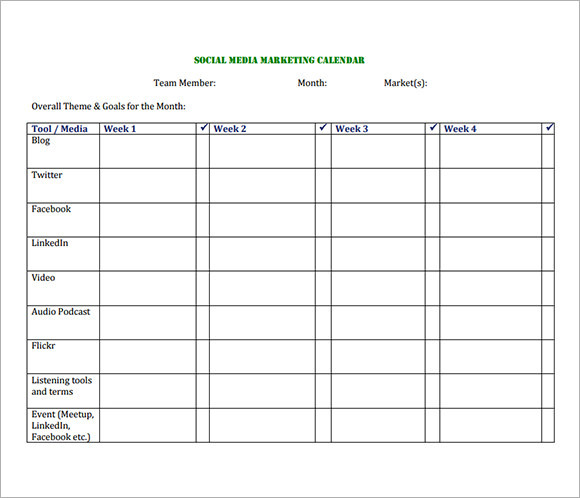 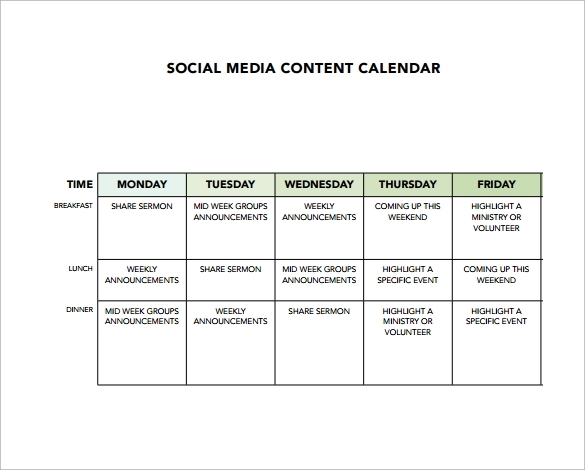 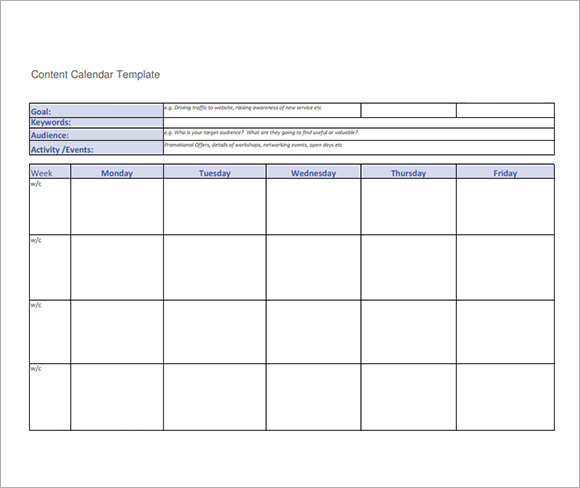 Prepare your social media content well in advance and be on the top of your social media content planning with social media calendar template. 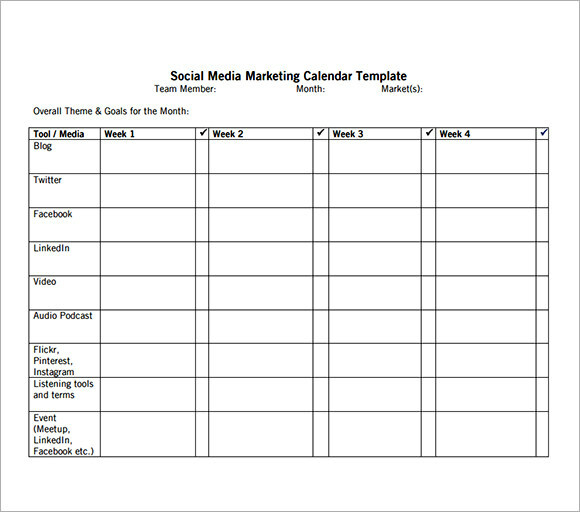 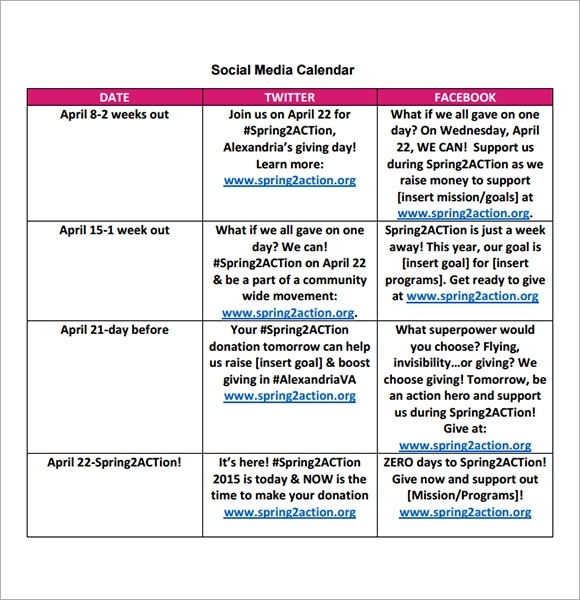 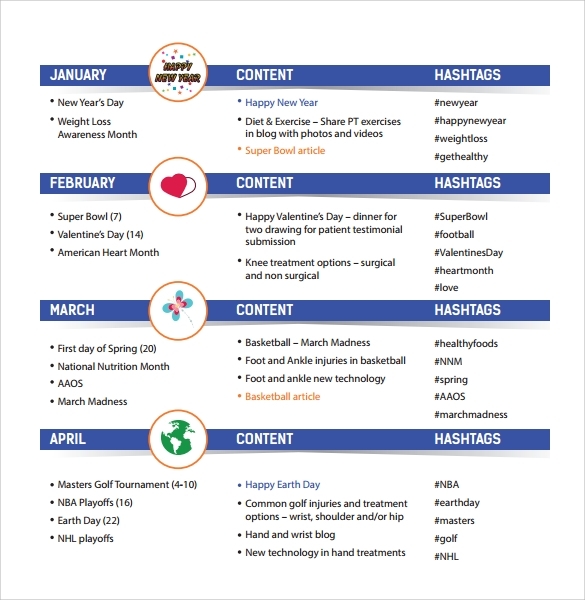 Many sample templates for social media calendar are available for free download in both word and excel formats and can be printed as well. 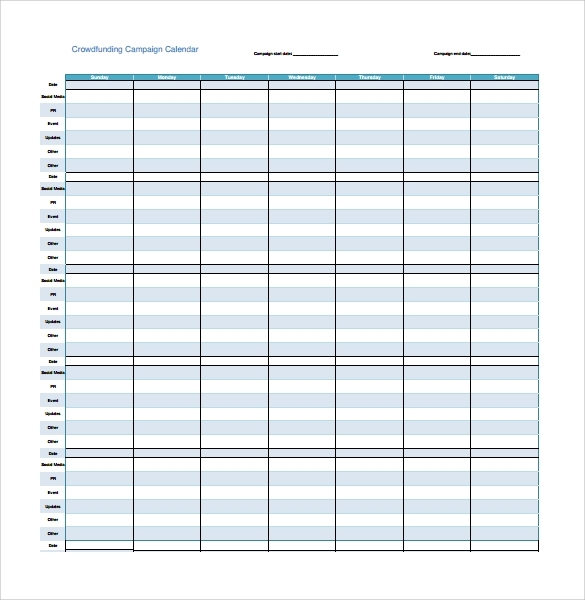 A perfect example can be a weekly calendar template which will have date and time columns, along with the tweet copy and the link and the character count. 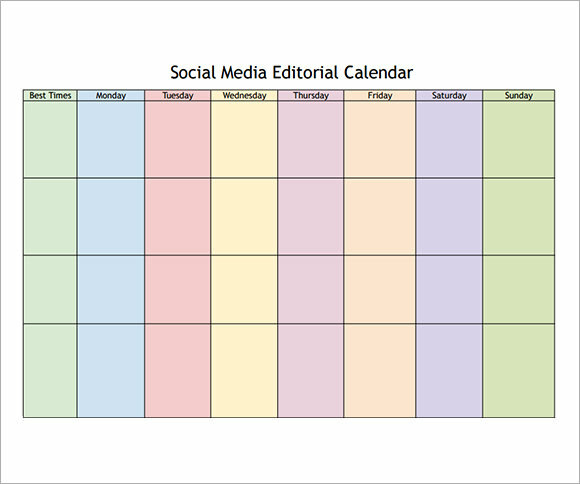 Now you don’t have to burst through your office doors and look for something to push out to your Facebook fans!